The Borough of Yakutat is located on the northern coast of the Gulf of Alaska. This town is home to the St. Elias Dancers, a Tlingit dance group. It is also considered to be the gateway to Hubbard Glacier. Yakutat is beautifully encircled by Tongass National Forest and Wrangell-St. Elias National Park. The city offers a wide variety of outdoor adventures like hiking, surfing, discovering bays, mountain climbing, ice-climbing, rafting, viewing massive glaciers and remote sea breaks. The city provides splendid saltwater sport fishing. 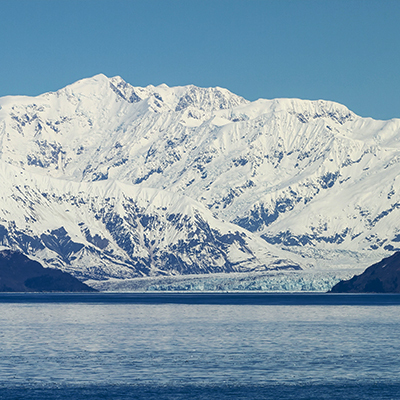 Cheap flights to Yakutat can be easily booked with Alaska Airlines as the airline provides daily flight service from Anchorage and Juneau connecting them to numerous domestic and international destinations. Furthermore, the Alaska State Ferry Kennicott currently halts in Yakutat numerous times each month during the seasons of summer, spring and early fall. Though Yakutat's strength is certainly commercial & sports fishing; the region consists of many more things to do and see than just world class Salmon, Steelhead and Halibut fishing. Wrangell-St. Elias National Park and Preserve – Wrangell-St. Elias National Park and Preserve is home to some of the tallest mountains in North America. Despite the park's closeness to Anchorage, it is not much visited than Denali. Mount St. Elias stands like an ideal pyramid towering 18,008 feet against the light blue hue of the Yakutat skyline. It is the second tallest peak in the United States of America. Tongass National Forest- This beautiful dense piece of nature holds the record of being the largest national forest in the country. Spanning over a massive area of 17 million acres, the forest portrays the true beauty of Mother Nature. The forest's diverse ecology is home to numerous species of plants and animals, many of which are rare and endangered. The forest features glaciers, fjords, peaks of the Coast Mountains and the islands of the Alexander Archipelago. Glacier Bay National Park - Glacier Bay National Park is open to visitors from May until September. While on the Glacier Bay Day Tour, travelers navigate through different ecosystems onboard a catamaran, to finally be able to have a glimpse of the glacier. Good River Bed & Breakfast and Glacier Bay Lodge are among the best resorts here where you can enjoy a comfortable vacation. Yakutat Tern Festival - Yakutat is known as a world-class birding city owing to its diverse habitat. It provides the perfect opportunity for bird lovers to view about 200 species of birds, with more than 100 nesting diversities. The mission of Yakutat Tern Festival which is held during the start of June every year is to highlight the amazing natural and cultural resources of Yakutat. The festival is also hosted in order to boost the local economy. An important part of the festival is to celebrate the Aleutian Terns. The partakers of Yakutat Tern Festival may enjoy bird-watching, art exhibits, educational events for adults and kids, natural history field trips and more. Book flights to Yakutat, with Lookupfare - one of the leading online travel portals in the United States of America. Flights to Yakutat are always on sale with Lookupfare; we offer low-cost flights to Yakutat throughout the year. Furthermore, we offer reasonable airline tickets to top destinations in the world. We also help you to find the best last minute flights to Yakutat from several airlines including Alaska Airlines, Delta Airlines, Southwest Airlines, etc.